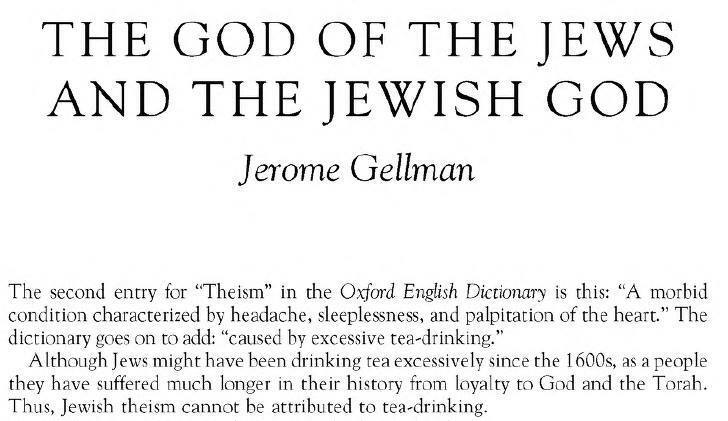 Is Theism the result of Tea-Drinking? I especially like that quote from the 1886 issue of Science, which explains that the form of “theism” in the reference to “acute, subacute and chronic ‘theism’ … has no connection with theological matters”. Nice. As Simon Blackburn, in The Oxford Dictionary of Philosophy (2016), s.v. “theism”, confirms, what we have here with theism1 and theism2 is “homonymy”. Homonymy. That certainly sounds like something that most forms of theism would frown upon.